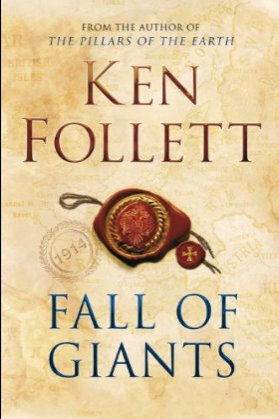 Three books, each book containing twenty-five CDs, each CD containing twelve chapters equals five months of listening to Ken Follett’s Century Trilogy ~ Fall of Giants, Winter of the Worlds and Edge of Eternity. Last August, as I started to listen to Chapter one of the first CD of Fall of Giants, I had no idea how the plethora of Follett’s characters, interwoven with each story line, would become such an integral part of my world and how the final words of the final chapter on the final CD in the final book (Edge of Eternity) would bring me to tears. The tears being a combination of a sentimental ending, but also great sadness in the books being completed. Not only is Follett a master story teller who brings past world events to life through the story lines of his characters, but the reader was able to transition into the dialects of each character ~ Russian, German, British, American, male and female with such ease, that at times I thought that there must have been a host of readers instead of just one. As characters would reminisce about past events in their lives or refer to the adventures of their parents or grandparents, I could easily recall where I was when that part of the book was taking place ~ whether it was on a drive to the cottage, during a hike on the trails, driving into work or on those rare moments when the house was quiet and I could listen to the story as I completed a chore or two. That is a testament to the quality of the writing and how transfixed I became listening day after day. As I’ve shared before, history was never my forte, probably my least favourite topic of conversation and definitely a piece of the pie to avoid when playing Trivia Pursuit. But after 5 months of relieving both world wars, the March on Washington, Hiroshima and both the creation and destruction of the Berlin Wall (to name but a few of the events within the trilogy) as told through the generational story lines lines of the Williams, the Dewers, the Fitzherberts and the Ulrichs, I have no doubt I could hold my own in any historical conversation. I can’t help but wonder if it isn’t serendipitous that today of all days, on this, the last day of 2015, I finally finish this story. 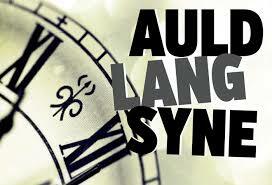 It is customary to usher out the end of the year and ring in the new year by singing, “Auld Lang Syne”. The meaning behind the song refers “to times gone by as we remember friends from the past and not let them be forgotten”. It will be a long while before I forget the characters in this story ~ their struggles, their love stories and their victories. Books have such incredible power. They can transform you to places and times that you cannot physically visit and within a matter time (even if it takes 5 months) characters on a page can be transformed into virtual friends with whom you laugh, cry, fall in love with or despise for their dastardly deeds. As the clock strikes midnight tonight and I join with family and friends to ring in the new year and look forward to what 2016 will bring, I will hope for another year filled with the treasures found within the pages of great literature. 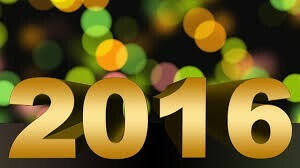 What are you looking forward to in 2016? Come Write with me….